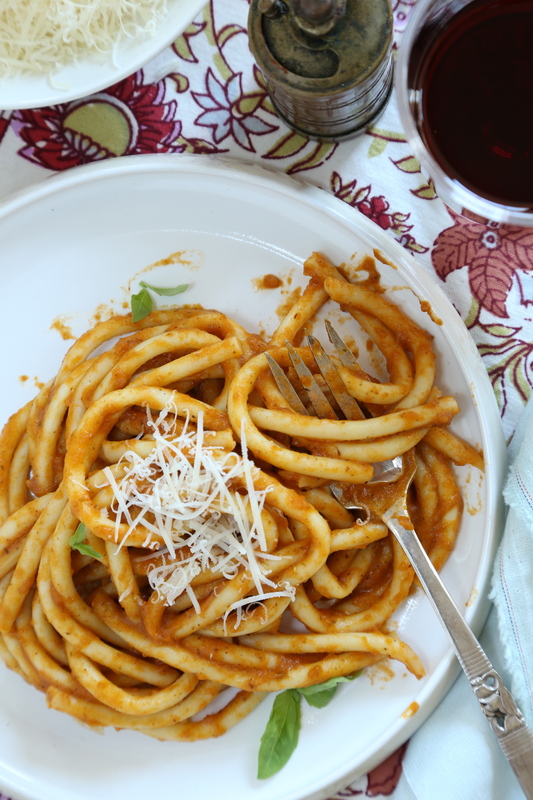 Maintaining a blog page that centers around food means I spend time looking for recipe ideas. Using someone else’s recipe (with proper credits of course) is always a possibility but it does not say much for my own abilities in the kitchen. Having a constant stream of original recipe ideas is challenging and I never know where inspiration may strike. As some of you already know, I am a member of the Tuesdays with Dorie baking group and once a week, we post a recipe from either Baking with Julia or Baking Chez Moi. But that is only one day out of seven and what will I do for the other six days? 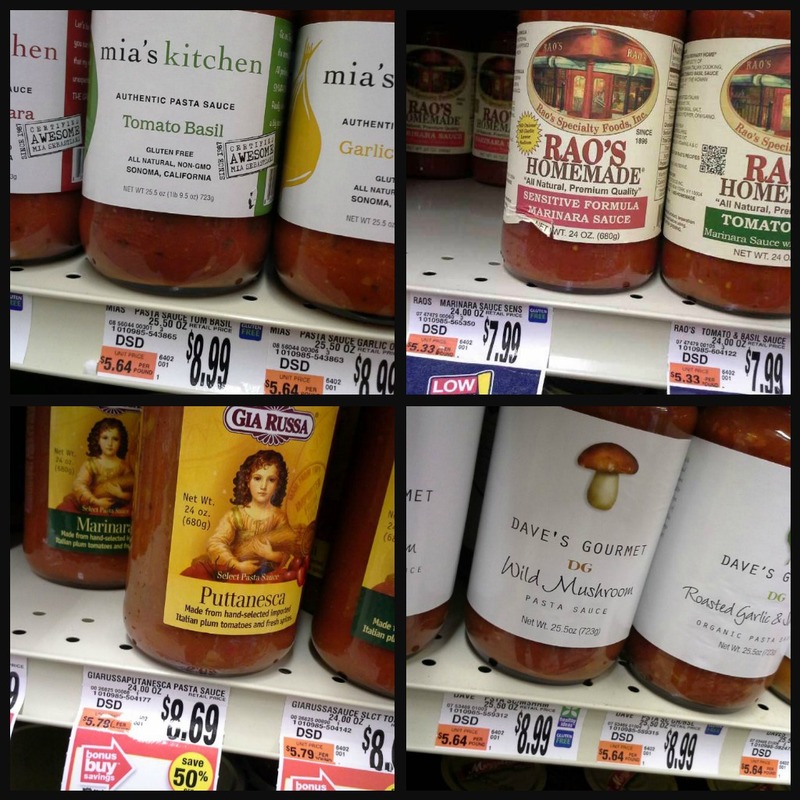 On a recent trip to the grocery store, I found my inspiration in the pasta and tomato sauce aisle. Actually, to be more accurate, I found myself stunned that anyone would pay nearly $10 for a jar of tomato sauce. When I was growing up, the only tomato sauce we ate was my mothers homemade cooked they way my great-grandmother taught her to make sauce. It has always been the standard by which I judge tomato sauce. As my children were growing up, I found myself struggling to keep up and generally relied on a jar of sauce from the store. When money was short, and it frequently was, a jar of sauce and a pound of pasta could feed us affordably and there would be leftovers. Needless to say, $10 for a jar of sauce nearly knocked me down; I am in the wrong line of work it seems! It wasn’t hard to figure out what I would be making, photographing and posting on the blog after that. With so many interesting flavors to choose from, I decided I would make up a batch of sauce and leave the high dollar jars at the store. Knowing I had some butternut squash to work with, I decided on a batch of butternut tomato sauce. The two flavors compliment each other well. The squash which adds a nice velvety texture to the sauce also has enough natural sweetness to balance the acidity of the tomatoes without the addition of sugar. Because I like a tomato sauce with more than tomatoes in it, I also chopped up some carrots, celery, mushrooms and onions too and tossed them with the butternut squash and a little olive oil. Roasting vegetables gives color as well as flavor and after about 45 minutes at 425 degrees, the vegetables were soft enough. First, they went into the pot with all of the other ingredients and I let it simmer a bit then I pureed the mixture. If you use a regular blender for the job, be sure to do it in small batches, cover it but leave a small gap for steam to escape and drape a towel over the top of the blender. Hold the top in place and blend on low-speed. Do not do this unless you are holding the top down or the lid could pop off and send hot sauce flying all over! 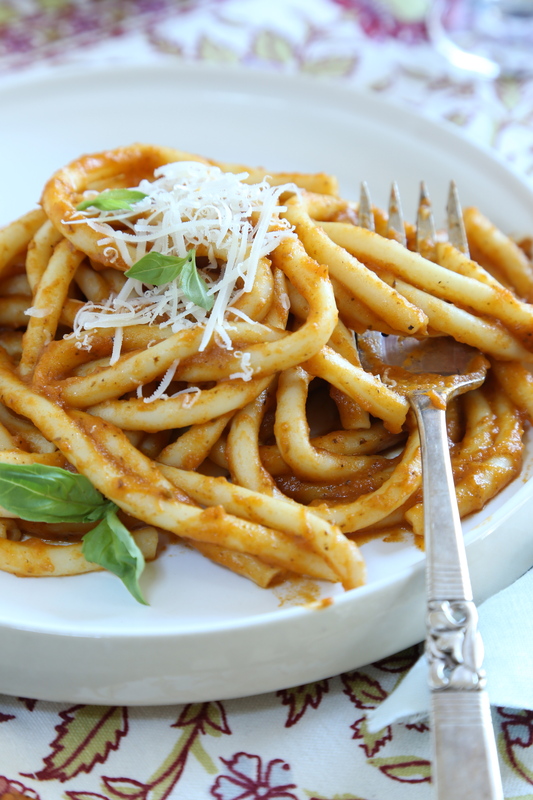 Perciatelli is a hollow spaghetti tube and it was the perfect choice for such a creamy sauce. Some folks will tell you that you should never toss cook pasta with oil to keep it from clumping. 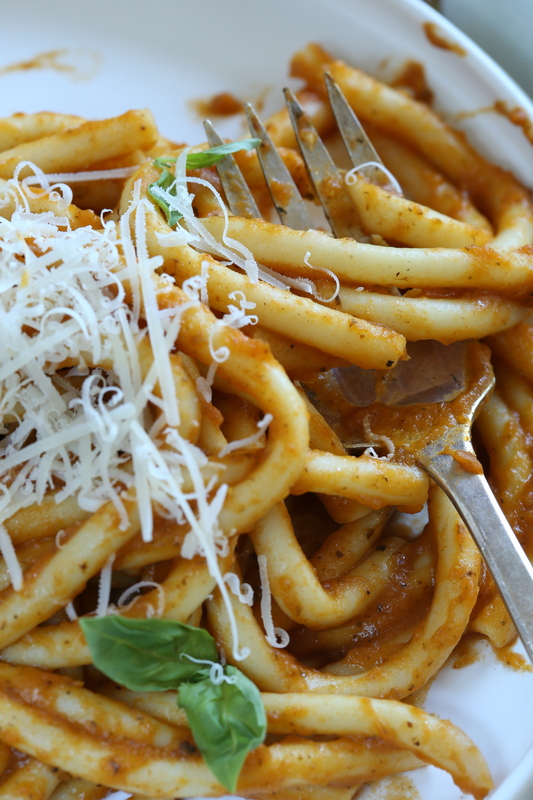 The oil will make the pasta slippery and keep the sauce from sticking to it. Maybe so but I generally add the oil anyway, but I do make an effort to add only the smallest amount possible. Preheat the oven to 425. Peel the squash and cut into large cubes. Peel the carrots and cut them along with the celery into 1″ slices. Roughly chop the onions. Halve the garlic cloves and the mushrooms and combine all of the vegetables in a bowl with the olive oil. Toss to coat and dump them onto a baking sheet that is lined with parchment paper or foil. 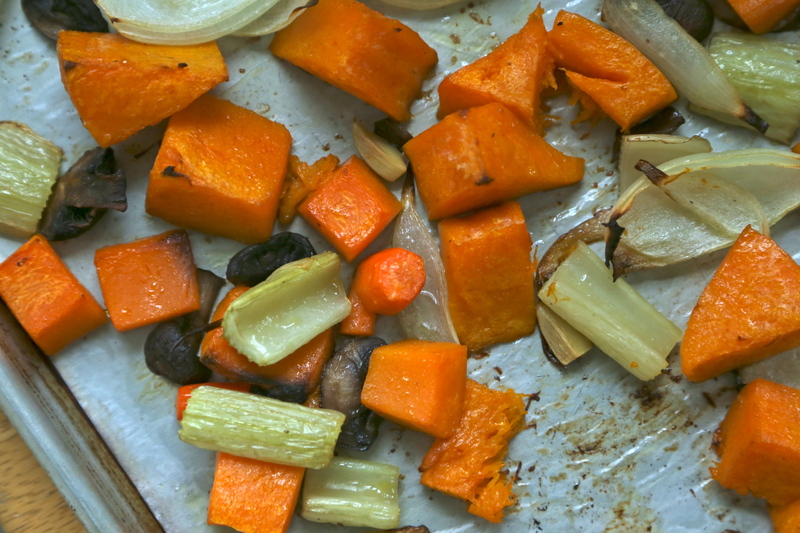 Roast the vegetables until the carrot and squash are fork tender, about 45 minutes. 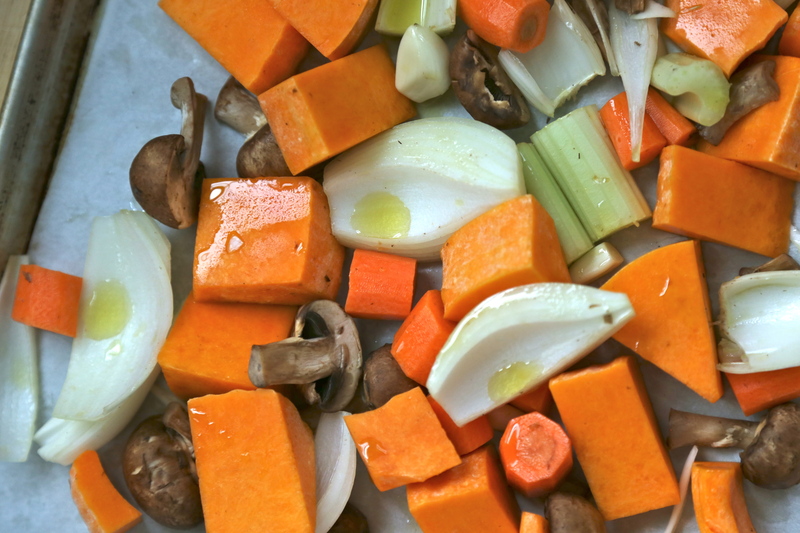 Dump the roasted vegetables into a heavy bottomed stock pot with at least a 3 quart capacity. Add the tomatoes to the pot and using your hands, crush the tomatoes a bit to break them up. Add the basil, thyme, bay leaf, turmeric and smoked paprika. Add 1 cup of the broth and bring the mixture to a gentle simmer. Allow the sauce to simmer for about 30 to 45 minutes. Using an immersion blender (if you have one) or a regular blender, puree the sauce; be sure to take precautions with a regular blender-read the warning above! Return the sauce to the pot and using the additional 1/2 cup of broth, adjust the consistency of the sauce to your preference. Season with the salt and pepper and serve with your favorite pasta. Garnish with additional fresh parsley sprigs and grated Romano cheese if you like. The sauce can be canned using the same method for tomato sauce or it can be frozen in containers. Personally, I am planning to grow butternut squash and plum tomatoes in the garden just so I can make more sauce this summer!